More than 400 guests attended the breakfast this year to make donations of support and hear about the progress Abode Services is making towards ending homelessness. It was an honor to host you, and heartwarming to see so many people from our community gather to help bring an end to homelessness. Abode Services hosted its 10th Annual Journey Home Breakfast last week, sharing our successes of the past and plans for the future with a supportive community eager to lend a helping hand. It was an honor to host you, and heartwarming to see so many people from our community gather to help bring an end to homelessness. 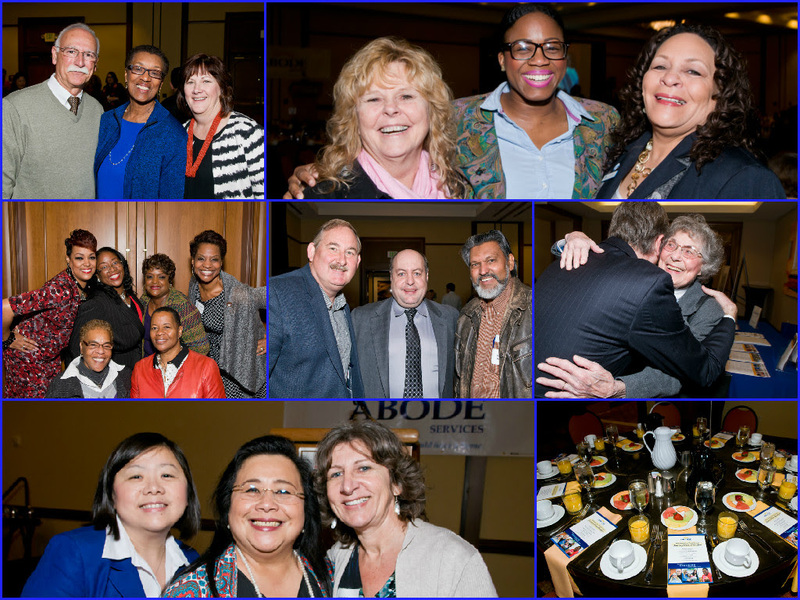 More than 400 guests attended the breakfast this year to make donations of support and hear about the progress Abode Services is making towards ending homelessness. The support we receive at the breakfast ensures our programs can continue to serve more than 4,411 adults and children each year. If you missed the breakfast, or would like to join our efforts to end homelessness,you can make a secure online donation now. You can make that donation knowing we will put it to use right away to benefit members of our community. Three Abode Services participants illustrated the importance of the community's support through testimonials in which they shared their stories of homelessness and their journeys back to a home. Two participants were featured in a video which can be seen on our website and Facebook page. A third participant shared her story in a speech. peers," said Donnisha, a California State University East Bay graduate who was homeless while attending classes until Abode Services helped her find a home. "Whether it was providing food and housing, or just being a shoulder to lean on, Abode Services made a huge difference in our lives, and I thank you for that. I hope your services will continue to change the lives of our youth." Breakfast attendees also learned about how Abode Services is continually finding new, better ways to end homelessness. One of those ways is Pay for Success, a new program in Santa Clara County that will use the financial power of private and philanthropic investors to house chronically homeless individuals. You can read more about Pay for Success here. To learn more about Abode Services, the Journey Home Breakfast, and how you can continue to help support programs that are ending homelessness, please visit us at www.abodeservices.org. You can also visit our Facebook, Twitter, and Instagram pages to find pictures and videos from the Journey Home Breakfast. Hayward-Tri-City Alumnae Chapter of Delta Sigma Theta Sorority, Inc.
Abode Services maintains the highest level of respect for the privacy of our donors. We do NOT sell, trade, rent or share our donor list with any other organization. We also wish to respect your preferences about receiving our e-mail updates. If you would like to unsubscribe from our newsletters, please email info@abodeservices.org with "remove" or "unsubscribe" in the subject line.